One billion people use Facebook Messenger every month. And no matter how bad the current perceptions of the bot scene are, that number is hard to ignore. Octane AI is counting on celebrity content creators to build conversational experiences that people actually want to have. With its public launch and the rollout of its content creation platform Convos, the Octane team is taking a gamble on the medium. If it catches on, the company will have a community-driven head start that will make any quips about the lack of sophistication in the typical “bot” tech stack inconsequential. The Convo platform lets anyone create tree-like stories that others can engage with. Building the conversations is as easy as having a slightly delusional conversation with yourself — the barrier being creativity rather than the underlying mechanics. 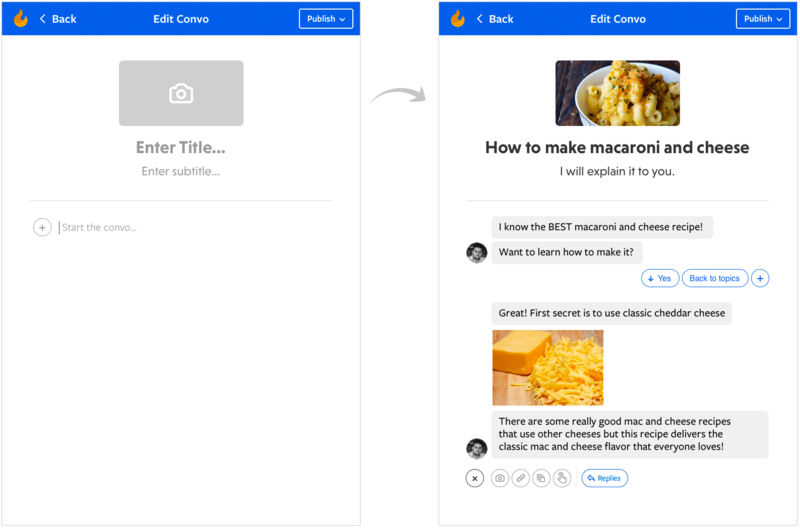 Once published, users have the power to make decisions that change narratives within a given chat. This happens via embedded bubbles, almost like a multiple choice question for each response. The pre-defined structure takes variability out of the experience and removes the need for natural language processing. Octane’s private beta began back in November. Through a series of pilots, including one with Maroon 5, the team noticed abnormally high conversion rates. Though Octane wasn’t able to provide specifics, the takeaway here is that bots created on the company’s platform might be able to drive more traffic with a smaller dedicated following than something like a traditional Facebook Page. “We’re not heavy on machine learning yet, but personalization of Convos could be huge,” said Parr. Parr, who was previously Editor-At-Large at Mashable, is joined by Leif K-Brooks, the former founder of Omegle and Matt Schlicht, founder of Chatbots Magazine, to make up the founding team of Octane AI. Schlicht received criticism back in November for failing to disclose Octane’s ambitions when soliciting pitch desks from the bot community to pass on to investors. Parr believes that, “The bot community has gotten even stronger” in the time since Schlicht’s apology. The company raised $1.5 million in a November 2016 seed round led by General Catalyst.